It is alarming to consider that while your minor child is unable to make any financial transactions on his or her own that he or she may still be the victim of identity theft. Even scarier is the realization that the criminals committing these crimes may be your own relatives or close friends. With the right information about your child, an identity thief can take out loans, open up credit cards, file bankruptcy or even file taxes under your child’s name. 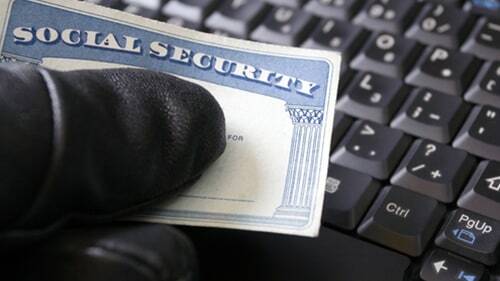 Remaining vigilant while understanding how to detect the common indicators of identity theft will help you keep your children safe from those that would otherwise ruin their credit for personal gain. If you experience any of the following, you will want to obtain your child’s credit report and conduct a more thorough investigation into whether he or she is a victim of identity theft. Strange calls from collection agencies looking for payment on a debt taken out in your child’s name. Bills in the mail addressed in your child’s name for products and services you or your child have not bought. A mailed traffic citation in your child’s name despite the fact he or she does not yet have a license. Inquiries from federal agencies concerning your child’s income or work status even though he or she has not worked. The inability to receive government benefits because those benefits are already being used by someone else under your child’s social security number. The inability of your child to obtain a loan due to poor credit. Your child is denied admission into college because of information found on his or her credit report. There are three credit reporting bureaus that log and monitor credit activity. As a parent, you are entitled to request your child’s credit report for the specific purpose of making sure nobody has acted under his or her identity. TransUnion, Equifax and Experian are all obligated to release a credit report when requested and the special process for requesting child credit reports is followed. Minors are not permitted to make these requests without the assistance of their parents or legal guardians. It is important that a credit report is requested before your child begins to participate in activities that report activity to credit agencies in order to make it easier to identify and correct errors on the report. These activities include obtaining employment, seeking a loan or applying for college loans. The FTC suggests that you obtain a credit report before your child is 16 years of age and that you review the report every year until your child is able to request his or her own credit reports. If you have discovered suspicious activity on your child’s credit report, you may be able to freeze your child’s credit and take additional actions to repair the damage. First and foremost, you should call the police and report the crime so that it is documented and the authorities are able to search for the perpetrator. In many cases, the identity theft is a close friend or relative. After you have filed a police report, make sure to close any accounts that are open in your child’s name and to contact the Social Security Administration for information concerning your child’s reported earnings. Prevention is the most effective way to address identity theft, so make sure that you pay attention to what companies are sending your child mail, limit how often you use your child’s social security number, shred documents with sensitive and identifying information before throwing them out and consider how technology may be used to gather your child’s information. Discussing the ways schools collect this information with administrators and monitoring your child’s use of technology will also help prevent cases of identity theft. Finally, make sure that your child is aware of the danger and understands how to protect his or her identity from potential thieves. Educating your children before they are exposed to the possibility of identity theft will help them recognize and avoid any pitfalls.